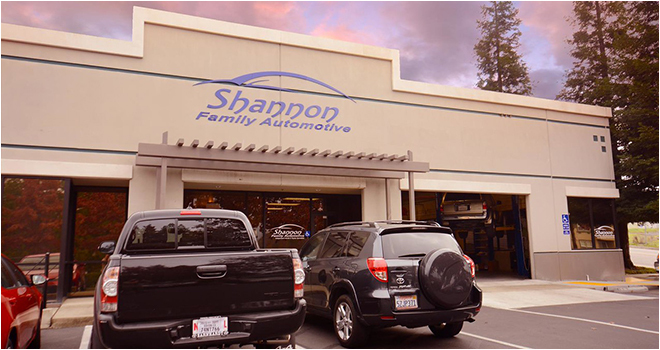 Conveniently located in a business park across the street from Gekkeikan Sake, Shannon Family Automotive is not your typical automotive shop. From Highway 50 take the Prairie City exit and continue past Blue Ravine. Prairie City Rd will turn into Sibley Street and Shannon Family Automotive is located on the right-hand side. From Old Town Folsom, take Sibley Street toward Highway 50. Turn left on Levy Rd and make a left into the business park. Shannon Family Automotive is located at the front end of the complex, closest to Sibley St.